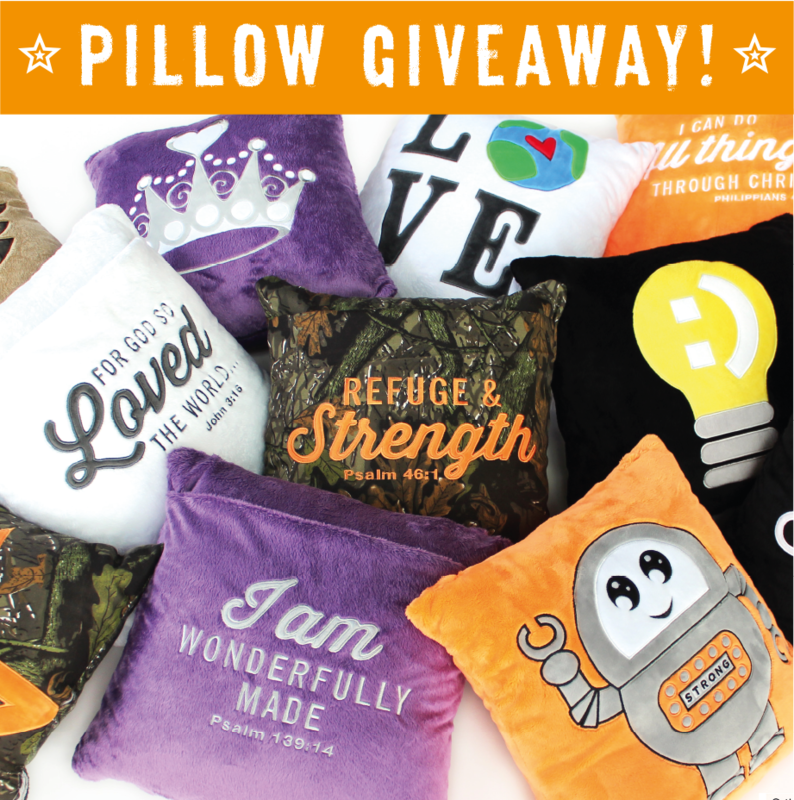 We hope these Modern, Inspirational, and Multi-functional Pillows will COMFORT and ENCOURAGE you with their soft plush, vibrant, happy appliquéd designs, and encouraging messages! We've included a bookmark hang tag with the verse and a short explanation, along with a "Shine" plush clip to share with a friend. The cuddly "Pillows-on-the-GO" are designed for traveling and include a shoulder strap with mobile phone holder. This new BeLOVED Life collection is close to my heart because I was bullied through my tween and teen years, and felt strongly about using my life experience and creative energy to create a product that would encourage EVERYONE to feel unconditionally LOVED and ACCEPTED. My prayer is that you'll feel empowered by these verses and know how much you are loved! I was so thrilled to review one of these pillows from The BeLOVED Life Pillows. I picked the light bulb one with Matthew 5:16 on it, "Let your light shine." Thank you BeLoved for sending me a pillow for free in exchange for an honest review. I was not paid for this review and all opinions expressed are all mine. Our pillow arrived in good timing and packaged very well! My daughter had no idea that it was coming and she was so thrilled to see it and use it right away! She even said, "I'm bringing this pillow to camp this summer!" Then she immediately found her Bible and put it in the pocket! The package also came with a smaller keychain that you can see in that picture. So here is my smiling girl! Her and I both agree that these pillows are super soft and make you want to rub your face on them because they are so comfy and soft! I like that I picked the black one so it will not stain easy and because I really liked the Bible verse on it. These pillows are multifunctional as well! They have a strap that makes bringing it on the go super easy and even trendy. The straps also have a phone holder or crayons if you get one for a younger child who doesn't have a cell phone yet. One side of the pillow has a good size pocket, even big enough for my daughter to fit her big Bible in it. Beyond the comfort and features of the pillow, I really enjoyed learning about the mission and story behind them. The creator of the pillow found a need in the Christian pre-teen area. We want our younger generations to share their faith and with simple messages on this pillow they can. The pillows are very trendy and were designed to bring life and energy and vibrancy back into the pre-teen product market. Each of the messages on the pillows has great verses for our kids to memorize and get more comfortable to share their faith. Get your BeLOVED pillow today and be reminded every time you lay down that you are loved, important, made in his image, royalty! On their website they retail for $34.99.